Jean Henri Chandler has studied historical fencing for 16 years. He co-founded the fencing group SDA NOLA with Lenny Zimmermann in 2004 in New Orleans. Jean has taught longsword fencing at fencing tournaments in 2011 and 2012 and was active in the competition circuit, fencing in 9 tournaments from 2010 – 2015, placing third in open longsword at the Fechtschule America tournament in Houston in 2012. Jean is an amateur researcher with a special interest in the late medieval Baltic and the context of historical fencing. In 2012 he gave a lecture on Free Cities and fencing masters at the BSG event in Boston. In 2013 he gave a second lecture on informal duels in central European towns at the Higgins Armoury in Worcester, Ma. in association with the IGX fencing tournament in Boston. 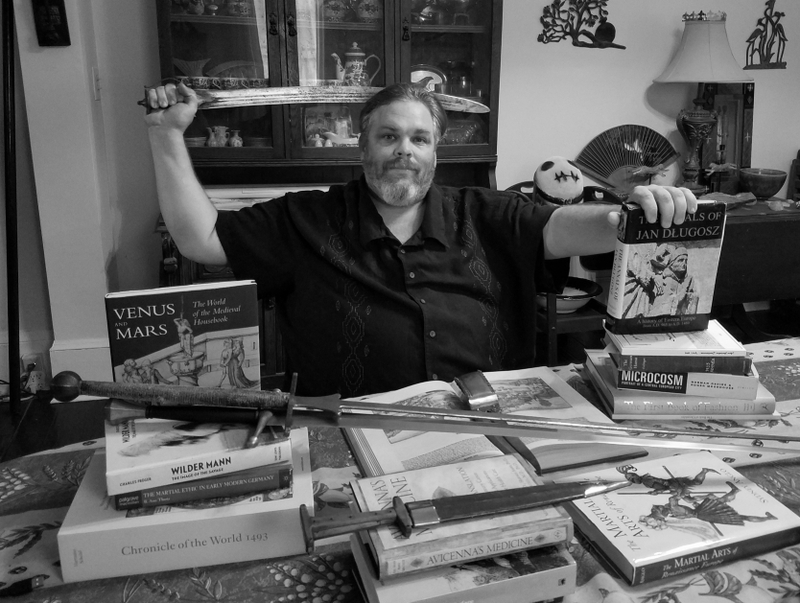 On April 26 of 2014 Jean gave a lecture at the Tenth Annual Symposium on Historical European Swordsmanship, at the Massachusetts Center for Renaissance Studies at the University of Massachusetts at Amherst. In 2015 he gave a lecture on small unit combat in late medieval Northern Europe at IGX. Jean published his first research paper in the Acta Periodica Duellatorum in 2013 on warfare and free cities. In May 2014 Jean’s second paper on the history of guilds in late Medieval Europe was published in the Acta Periodica Duellatorum, and his third paper, a comparison of dueling practices between the fencing manuals and two 16th Century autobiographies was published in the Acta in 2015 and was picked up by the academic publisher De Gruyter in 2016. Jean has been working on a book about life, culture and war in the 15th Century Baltic since 2008, which is now nearing completion.